How Much Will Long Term Care Cost? According to a 2013 study by Genworth, the cost of home care has grown slowly over the past 5 years, with the rising demand for home care driving down prices to competitive rates. Nonetheless, the cost of care is still increasing, with nationwide rates rising at an average of 1.39-2.32% in 2012 alone. However, within the nationwide average is a variety of services, rate types, and shifts that differ from agency to agency and that are either charged at an hourly or flat rate. 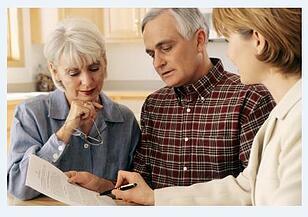 Many home care providers offer different types of long term care which are then charged at different rates. For example, you have the standard companionship service that is usually charged on an hourly basis. Or you might need more skilled services, which may also be charged at a higher, hourly rate. Overnight stays are also provided, with some being at a flat-rate, similar to 24-hour care options. Depending on where the service is provided and what kind of funding the service is receiving, the cost of care can span anywhere from $3/hr-$30/hr. Through the convenience of a home care system or home care software, agencies and care providers are empowered with the ability to manage all services and rate types within their organization and amongst unique client cases. Not only that, but care providers using a web-based home care system or home care software can offer clients, family members, and payers the convenience of accessing financial records of care online. This allows the consumer to track their expenses and view a breakdown of their charges. Additionally, with a web-based home care software or home care system, consumers have transparent access to their requested services, allowing them to financially plan and budget for their loved one’s care. As the service requested changes, so will the cost of care. For this, you want to make sure that you have access to a care provider who is sensitive to your budget and who can keep you financially informed by using a reliable home care software or home care system. So when looking for services, make sure to ask what kind of home care software they use and if their software can provide them access to financial records of care online.